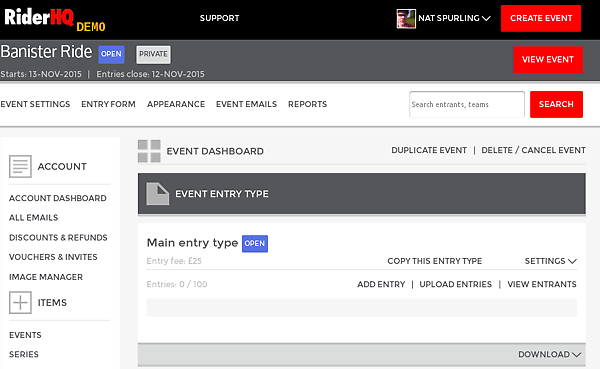 Fill in the 'new event form' - you must choose a name a date, a price (which can be zero! ), and max entries, everything else is optional. Make it a 'private' event if you're just experimenting or if you don't want it published in our calendar and event listings yet. 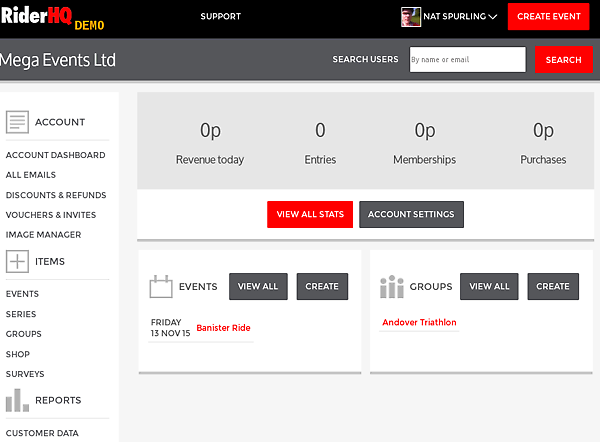 From here you can set up how you get paid (click 'Account settings'), view your account activity and access all your events, groups and your shop. That's it! You're up and running - contact us if you need any help!